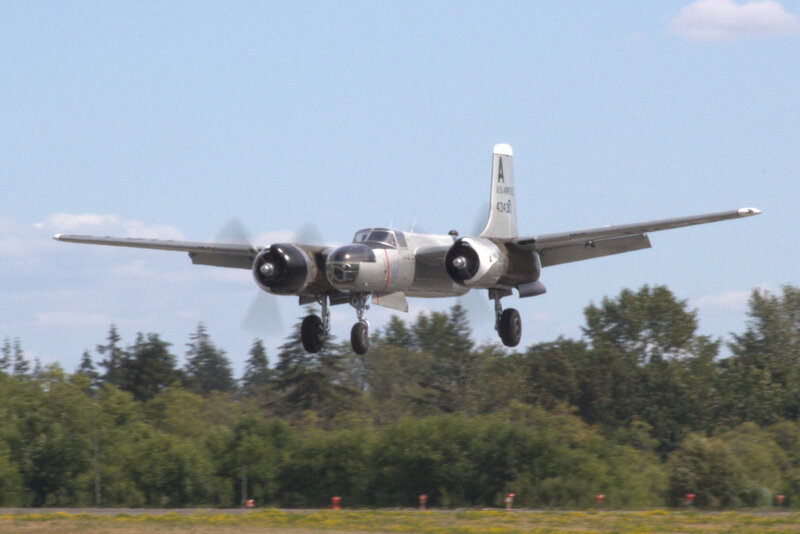 In remembrance of Canadian Warplane Heritage founder Dennis Bradley who passed away last week at 81. 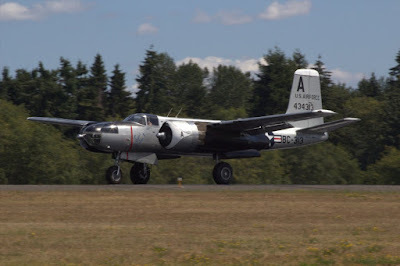 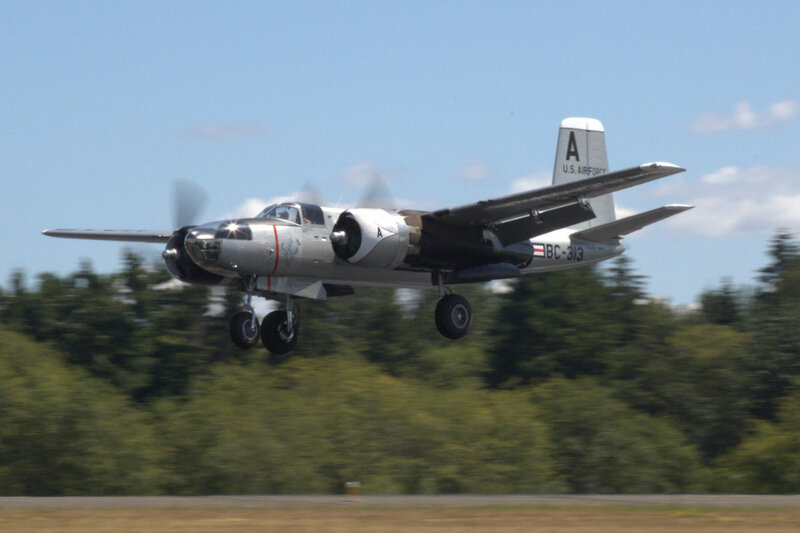 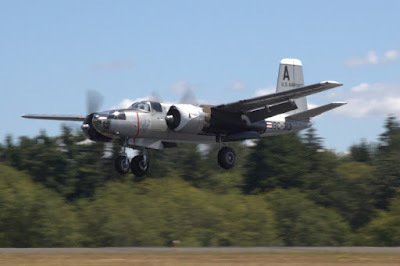 One of the surprise visitors to Flying Heritage's Skyfair yesterday was the newly restored A-26C Invader 44-34313/N4313. Owned by Mr. Bradley in the early 90s and flown in French markings on behalf of the Canadian Warplane Heritage as C-GHLK, the Invader has been repainted into its Korean War markings as "Sweet Eloise II."